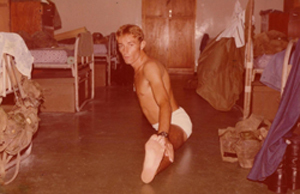 In August 1972 Greg Gysin, at age 18 years, enlisted in the Australian Regular Army and was shortly thereafter posted to Townsville to 4RAR. 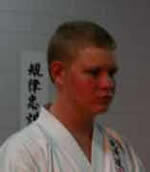 It was in early 1973 that Greg Enrolled in his first Martial Arts Class. 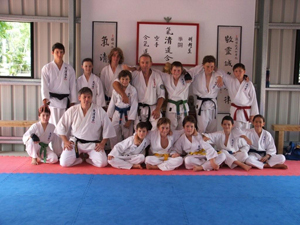 The class was Shotokan Karate under the instruction of Sensei Pierre Marcello, 2nd Dan, French Karate Champion of 1968. Six months later Greg was posted to Butterworth Airbase Malaysia for a period of 3 months. Upon arrival Greg searched for a Shotokan school in close proximity to the Airbase but the search proved futile. It was later suggested to him by a friend in the RAAF that he should look at the local Tae Kwon Do school. Immediately upon seeing the dynamics of Tae Kwon Do Greg made the decision to train in this style. 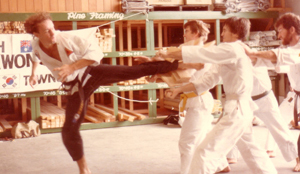 At the end of 3 months Greg had his first grading in Tae Kwon Do, he then returned to Australia and continued under the guidance of Sensei Marcello in Shotokan Karate. Three months later Greg requested to be permitted to return to Malaysia in the next contingent specifically to train in the Martial Arts. The Regiment, being very sports minded, granted his request. He trained for a further 3 months and received a double promotion. After arriving back in Australia Greg made the decision that he was best suited to Tae Kwon Do and then enrolled in the Townsville Tae Kwon Do school under Mr. Steven Cheah. In the course of the next 4 years Greg trained hard in the Townsville and returned to Malaysia several more times to train. In the late 1970’s, Greg attended his first Aikido seminar. It was at this seminar, run by Sensei George Eaton from the UK, that he came to appreciate that the Martial Arts were more than just kicking and punching and he sought to learn as much of the history and traditions of the arts as he could through seminars, reading and cross training. 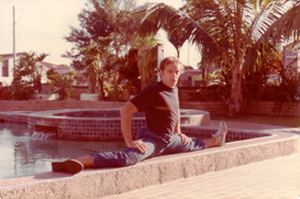 In November 1980 Greg was graded to 1st Dan Black Belt under Mr. Steven Cheah. 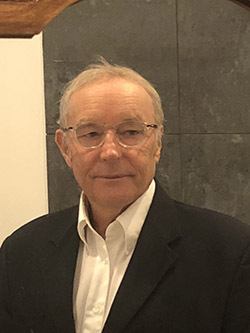 In 1981 he attended and helped to run a training camp on Magnetic Island for the Cheah Tae Kwon Do Academy and successfully passed his Instructor exam, it was a short time later that Greg started teaching in Townsville. In 1985 Greg received his 2nd Dan Black belt and in 1990 Greg received his 3rd Dan under Mr. Cheah. In 1993 Greg was fortunate enough to meet and train with Grand Master Yun Ku Young (8th Dan). Grand Master Young recruited him for instructor training into his new system called Yun Jung Do. This was a great opportunity as Greg had felt for some time that Tae Kwon Do no longer gave him the challenges that he sought. 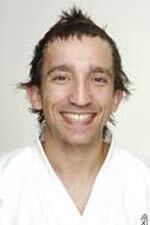 As a result, Greg resigned his position as Senior Instructor with Tae Kwon Do. This was a difficult decision as Greg had been with Tae Kwon Do for 20 years and was assured of a 4th Dan grading in 3 months time. After two years training and attending seminars and scholarships Greg realised that Yun Jung Do wasn’t the direction that he wanted to go. Resigning and parting from Grand Master Yun was one of the hardest decisions that he had ever faced in Martial Arts. In a short time he had become close to Grand Master Yun. Grand Master Yun wrote to Greg after his resignation expressing his sadness and wishing Greg well on his journey, his parting words were “Every man must walk his own path”. After three months and a great deal of encouragement from many people, including his students, fellow instructor and friend Sensei Claudio Favalli (4th Dan Zen Do Kai), and from his wife Maureen. 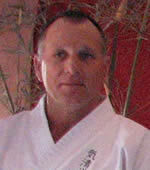 Greg formulated the basis of what was to become a completely new system of Martial Arts. This was to become Ki Sei Do Kai, drawn from over 30 years of experience. In November 1996, Greg successfully graded to 4th Dan, Black Belt in front of a board of Instructors - Sensei Robby Kessler 4th Dan Aikido (KI Society), Sensei Claudio Favalli (4th Dan Zen Do Kai), and Sensei Gordon Armstrong (5th Dan Zen Goshu Budo). It was after a 2 hour demonstration of his thesis, “The System of Ki Sei Do Kai”, three years of study and innovation, that the grading board unanimously applauded his dedication and commitment. 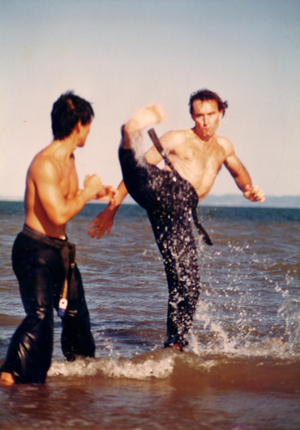 Over the years Greg has cross-trained in Boxing, Karate and Aikido, and has trained with many respected Martial Artists including Bill Wallace, Benny Uqiediuz, Master Hee Il Cho, Grand Master Kwang Jo Choi and Grand Master Yun Ku Young. Aikido has always been of particular interest to Greg, and he has had the opportunity to learn and train with many Aikido instructors including Sensei Nakano of the Yoshinkan Dojo and Sensei Robby Kessler of the Ki Society Aikido in Cairns and Mossman, Sensei George Eaton of Aikido UK, and Sensei Joe Thambu of Yoshinkan Aikido. On the 3rd September, 2005, Renshi Greg Gysin was examined by the board of the ISDA (International Self Defence Association) for Dan promotion. 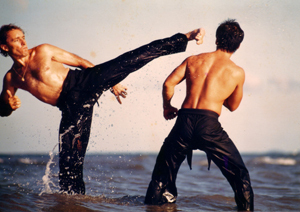 The board consisted of six high ranking martial arts instructors of different disciplines and all with over 30 years experience each – the highest ranks were 6th and 7th Dans. After assessing physical ability, theoretical knowledge and teaching ability, there was a unanimous vote and Renshi was promoted to the rank of 6th Dan after 33 years of dedication to the martial arts. Special Note: On the 17th September, 2017, after 12 years of continually teaching the art of Ki Sei Do Kai and instructing IIMA seminars since his last promotion throughout those years. The board of the IIMA, unanimously recommended and subsequently graded Renshi Greg Gysin to the rank of 7th Dan and the title of Kyoshi. Acknowledging a lifetime in martial arts.